A researcher with the University of Minnesota is encouraging stock people to monitor sow herds more closely for signs of lameness and then take action to treat the problem. Research has shown lameness affects anywhere from 10 to 60 percent of the sow herd to some degree and has a profound effect on productivity. Dr. John Deen, a professor of swine production systems with the University of Minnesota, told those on hand last week in Winnipeg for a sow lameness, longevity and temperament workshop hosted by the Prairie Swine Centre and Swine Innovation Porc, sows that are lame produce less pigs on average and are less likely to stay pregnant if they are bred. We tend to identify lame sows as they go into the farrowing crate and we identify those sows that have a diagnosis of lameness. Once they're in there we can identify and use various care measures in more detail. One is just addressing the pain, using analgesia, using products that reduce the feelings of pain. Second of all we can make the sows more comfortable using things such as rubber mats, especially if there are claw lesions. Then third of all we can start analyzing in more detail why are the sows coming into the farrowing crate lame and identifying methods of prevention such as gilt selection, such as perhaps different nutritional models and there are a number of different interventions that we haven't thought about yet. What we are seeing as producers try different interventions, they may be herd specific but in some cases antibiotics will work, in other cases they must emphasize better gilt selection, in some cases they have the wrong flooring and they need to work in that area as well. Dr. Deen says every stock person will have a population of sows that they're concerned about with lameness and we simply need to record and follow them and then try treating. 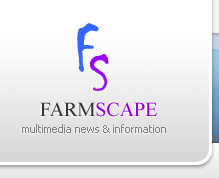 For Farmscape.Ca, I'm Bruce Cochrane.